Often the culmination of a long-held dream, an African safari can nevertheless be an expensive undertaking, and at first glance prices may seem off-putting.But you can get that incredible bush experience – complete with morning game drives, thrilling wildlife sightings and never-want-to-leave accommodation – at a more affordable price. Let us show you how. Safari seasons depend on the rains. High season falls over the dry winter months when game viewing tends to be at its easiest: more animals gathered at rivers and waterholes, and less leafy vegetation for them to hide behind. Travel during the low (or ‘green’) season, however, and you can still have a superb safari experience, but at a significantly lower cost. And it’s not just the price tag that makes the green season so appealing. Fewer travellers means a more exclusive safari experience, the rains transform the landscape into a vibrant green, and cloud-piled skies make for dramatic sunsets. 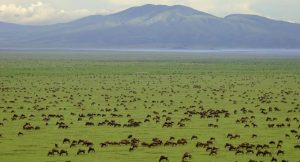 As for the game viewing there are still plenty of animals about, and the green season is the best time of year to see newborn foals and calves. Internal flights can add substantially to the overall cost of your holiday. But if you’re travelling to either South Africa or Namibia, there is an alternative: drive yourself. A self-drive holiday is far less daunting than you might think: roads are well-maintained and relatively free of traffic, you’re cruising under a big sky past beautiful scenery, and there are lovely little stops to discover along the way. Take South Africa’s Garden Route. The smoothly tarred road winds you through the Cape’s farmlands or past the sprawling wine estates of Route 62. You set your own pace, stopping at farm stalls for fresh-out-the-over pastries and pies. And, after a relaxing stay on the beach-lined coast, turn inland and in a few hours’ drive you’ll find yourself amongst the game-packed reserves of the Eastern Cape. 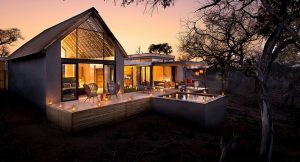 Africa’s top safari lodges sit amongst the most luxurious – and most expensive – hotels in the world. These lodges lead the way when it comes to a pampering safari experience complete with fine dining, spa treatments and villa-like suites. If your main focus, however, is the incredible wildlife viewing, then there’s a whole collection of lodges and tented camps in these same top safari areas,but at a far lower price. You might have to sacrifice your private pool, but you can still watch elephant wander by. Because everyone is feeling the financial pinch these days, the travel industry has an unprecedented number of special deals and travel bargains. Go to any decent travel website and you’ll find a whole range of “stay longer” specials or fantastic green season deals. If you’re a bit flexible with your dates, you can save a lot on your safari. Here, a travel consultant really helps, as they’ve built up relationships with the lodge owners and are the first to know when a deal comes along. Take a look at our top travel deals. Chatting to an experienced travel consultant can save you both time and money. 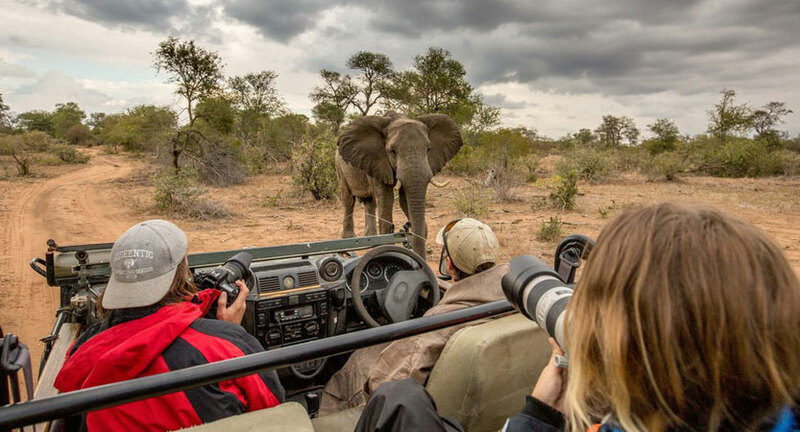 At Southern Africa Travel our experts have extensive knowledge of all the properties we sell: they know which places work well together, the best ways to connect for smooth-running logistics and the latest travel deals. Not only that, but they regularly go on safari themselves, so you can look forward to invaluable first-hand recommendations and advice. 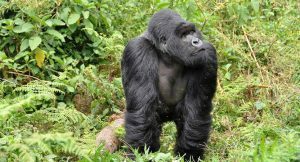 But don’t take my word for it: contact a safari expert and see for yourself.